'What A Character!' 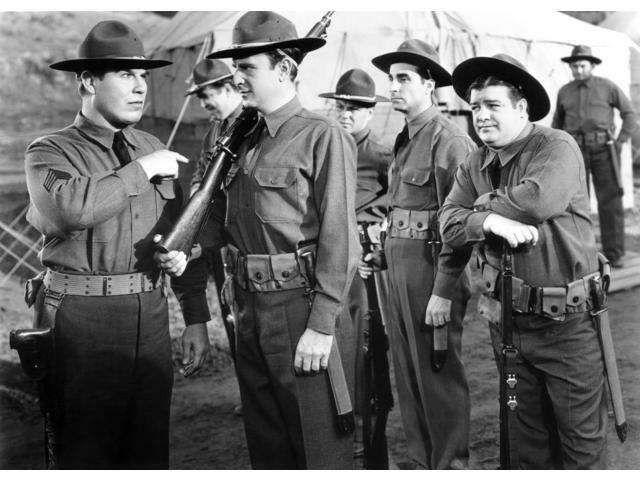 blogathon: Nat Pendleton - Carole & Co. Early last month, I announced plans to participate in this year's "What A Character!" 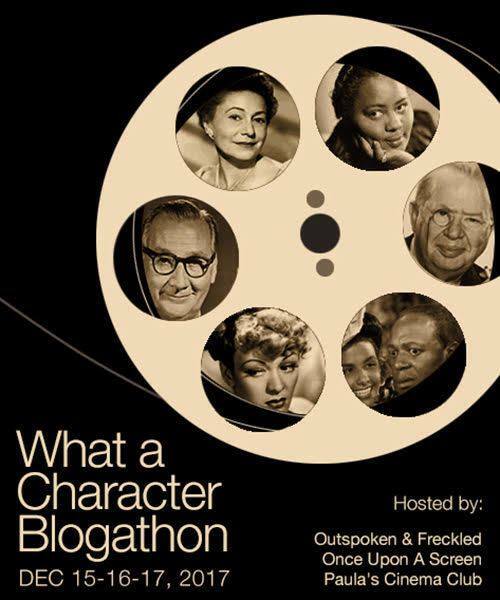 blogathon, designed to honor the foot soldiers of film (and TV) acting -- the supporting players who helped make Carole Lombard and other stars shine. I did so several years ago, honoring Walter Connolly (http://carole-and-co.livejournal.com/647552.html). Long before Dwayne Johnson or John Cena achieved big-screen stardom, Pendleton had achieved success in movies after a wrestling career...although his mat background was a far cry from the WWE. 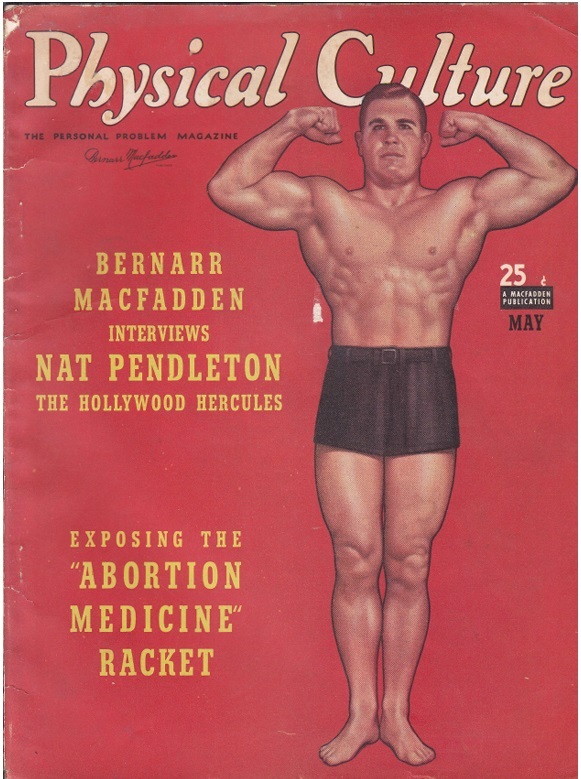 Born in Iowa in 1895, Nat was a star wrestler at Brooklyn's Poly Prep and then at Columbia University (where he never lost a match and is in Columbia's Athletics Hall of Fame), and was a silver medalist as a heavyweight wrestler at the 1920 Olympics in Antwerp, Belgium. He then became a pro wrestler, before the sport devolved into theatrics, and had some success though he couldn't get a title shot. By 1924, Pendleton was working in movies, and had an uncredited appearance in that year's Rudolph Valentino version of "Monsieur Beaucaire." It wasn't until 1930 that he found consistent film work, beginning with the Maurice Chevalier vehicle "The Big Pond." Other notable appearances came in 1931's James Cagney-Joan Blondell comedy "Blonde Crazy" and an uncredited part in another Cagney film, "Taxi!" in 1932. (That was the film offered to Lombard as a loanout from Paramount to Warners; she declined -- a decision she later regretted -- and Loretta Young was cast as leading lady.) 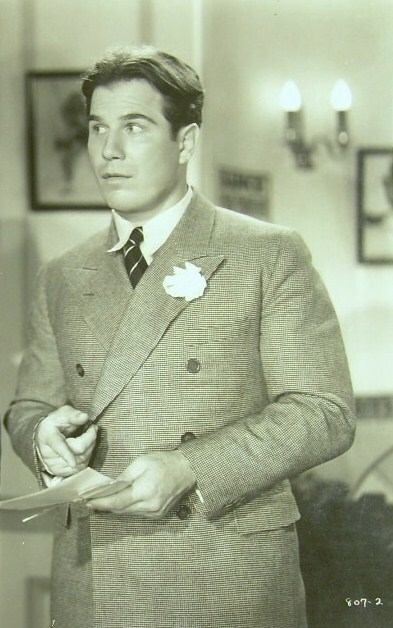 His athletic build also led to a small part in Cecil B. de Mille's 1932 "The Sign of the Cross." 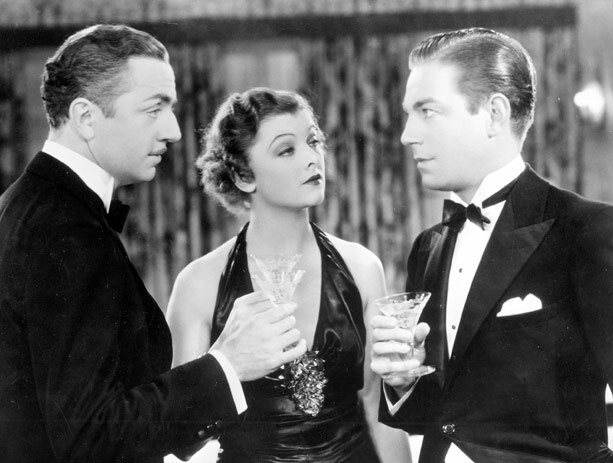 By 1934, he was a mainstay at MGM, where his credits that year included two top-notch William Powell-Myrna Loy collaborations, "Manhattan Melodrama" and "The Thin Man" (a still from the latter is below). Two years later, he'd team with them in "The Great Ziegfeld." That would be it for Pendleton's acting career, save for a 1956 appearance on TV's "Schlitz Playhouse" -- his 114th credit. He retired, moved to San Diego and died there, married to his second wife, in October 1967. He left behind a legacy of colorful characters who always were welcome on screen. See more blogathon entries at Once Upon A Screen (https://aurorasginjoint.com/), Outspoken and Freckled (https://kelleepratt.com/) and Paula's Cinema Club (https://paulascinemaclub.com/). The word "reliable" certainly applies to Nat. What an interesting fellow! 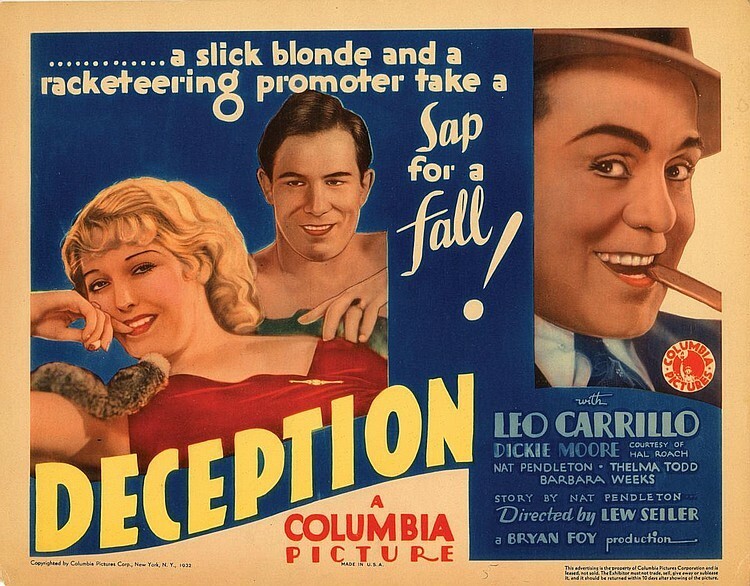 Now you have me adding "Deception" to my already cumbersome must-see list. Nat Pendleton is the tops! I didn't realize he was a pro wrestler, or that he was a writer. That's why this is such a good blogathon – you learn so many interesting things about these terrific actors.